To sponsor, or not to sponsor – WHEN is the question. But there’s no time to sully soliloquies when bill deadlines are upon us and zipping by. Perhaps new and returning legislators, capitol staff, and the public may all find a primer on sponsoring bills to be useful. If you like it, then you better put your name on it. First things first: Legislators who intend to sponsor a bill, whether as a prime, joint prime, or co-sponsor, have to let the drafter know! Our tenacious drafters will do just about everything short of sending a raven to verify the wishes of a potential bill sponsor, so here’s to e-mails checked, cell phones on, and plans plainly stated. We hope you’re not surprised to learn that the 2016 Legislative Session convenes next Wednesday, January 13. Legislators must have begun working on their bill requests and their bills’ order of introduction long before the mighty bang of the gavel starts the session. ▢ Their first three (of the five allowed by rule) bill requests in the system and drafted. SPONSORSHIP FAQ: No need to sweat the rules about five-bill limits and joint prime sponsorship. 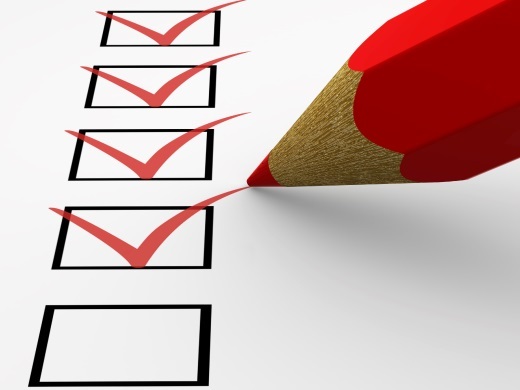 Follow these checklists to sponsorship bliss! ▢ Joint prime sponsorship means two legislators in the same house decide to jointly and equally sponsor a bill through that house’s legislative process. ▢ Joint prime sponsorship counts against both legislators’ five-bill limit in the first house. A legislator cannot be added as a joint prime sponsor in the first house if that legislator has already submitted five bill requests, unless that legislator first obtains permission from Leadership. ▢ Joint prime sponsorship in the second house does not count against the five-bill limit for either legislator. ▢ Legislators must decide to jointly prime sponsor a bill before the bill is introduced in the applicable house. ▢ Both joint prime sponsors must verify their desire to be joint prime sponsors with the bill’s drafter or with the OLLS front office staff. ▢ Joint prime sponsorship is indicated on the bill by the word “and” (in bold) between the first two names listed as sponsors. ▢ The rules for joint prime sponsorship are similar for the House (House Rule 27A) and the Senate (Senate Rule 24A). One Last Thing: The regular bill request deadline is Tuesday, January 19. Best to have a good idea now of what your regular bill requests will be!